A very interesting article was published by the Washington Post yesterday. In a time of rising college costs, it is encouraging to know that some schools are choosing to slash prices instead of raise them. St. John’s started pondering a shift in 2017, as its total charge for tuition, fees and room and board neared $70,000 a year. Few would ever pay that much at the school, which provides financial aid or merit scholarships to almost all of its students. Still, the college worried about the optics of a $70,000 sticker price. The answer, he said, was no. The new price, counting fees and room and board, will be about $49,300. The average financial-aid award would reduce the bill to less than $25,000. Revenue from such students, plus philanthropy and endowment payouts, helps schools recruit from a broad spectrum of economic backgrounds and award adequate aid to those in need. Debate over tuition at public colleges and universities is perennial. Political pressure has grown in recent years to limit increases or even make public college free. Sweet Briar College in Virginia, which nearly closed in 2015 amid financial difficulties, cut its price 32 percent for the current school year, to $34,000 for tuition, fees and room and board. The women’s college, which had 337 students in the fall, aims to boost enrollment and compete with public universities. “We are very serious about being excellent, relevant and affordable at the same time,” Sweet Briar President Meredith Woo said. Colleges are required to post calculators online to enable families to get a quick estimate of potential financial aid. But it’s not clear how much help these “net-price calculators” provide to families with modest resources and little experience in college finance. Colleen Hanycz, president of La Salle University, said the 5,700-student school in Philadelphia has thrived since cutting tuition 29 percent in 2017. “We had a sticker price at that time, close to $41,000, that almost nobody was paying,” she said. Hanycz said transparency matters to consumers fed up with the vagaries of college pricing. Under the new pricing, the university’s net revenue per student has risen, Hanycz said, but she declined to say how much. 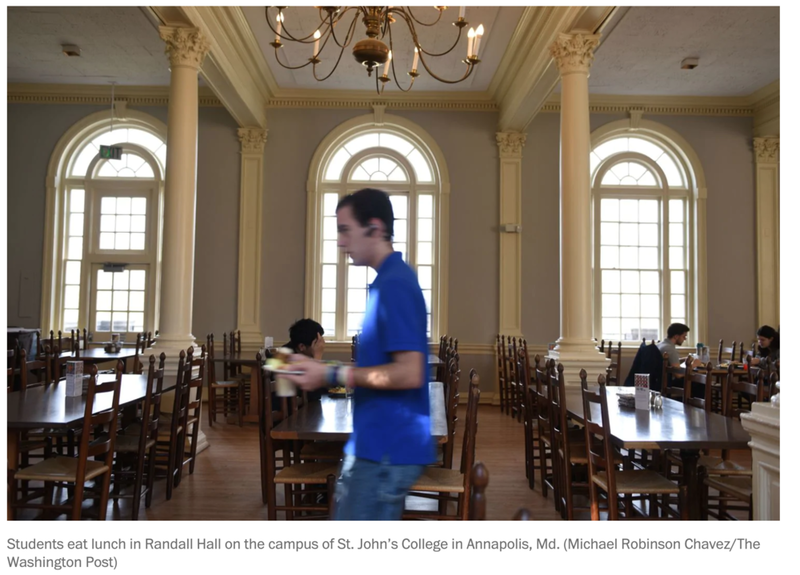 At St. John’s, with about 900 students in Annapolis and Santa Fe, the price cut coincides with a fundraising campaign to support what the college calls “an honest education at an honest price.” The rollback pegged tuition to a level not seen for more than a decade. The college’s distinctive model, based on close reading and discussion of great works of Western civilization, is labor-intensive and expensive. Now, its recruiters have another talking point — an eye-catching sticker price. St. John’s would like to grow a bit in Santa Fe but is not seeking to expand in Annapolis. Officials say finances are in solid shape. The price cut, they contend, will simply remove a perceived barrier for families otherwise drawn to a one-of-a-kind liberal arts experience. At Imagine College Coaching, we help students through the college admissions process as well as offer monthly scholarships and other ways to help pay for college. Contact us today!